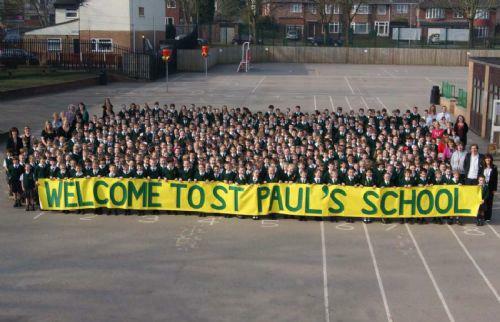 On behalf of everyone at St Paul’s Juniors can I offer a warm welcome to the parents and pupils of our school. St Paul’s has an excellent reputation and as Headteacher, it is my aim to see that its excellent name and traditions are continued in the years to come. The children of St. Paul’s are pleasant, cheerful and well behaved; they have zest and character; indeed are a credit to themselves and their families. They are enthusiastic, keen to learn and it is our job, as their teachers, to see that their hopes and aspirations are fulfilled. We will look to provide the very best foundation for the growth and development of your children. The progress of every child is immensely important to us all, and we hope that our work as teachers will enable them to develop to their fullest potential. In St. Paul’s we look to create and establish the sort of environment in which pupils of all ages can feel content and comfortable. In the same way, we seek to forge excellent relationships with parents so that the concept of partnership is seen as the way forward at all times. Parents should always feel able to contact the school, be it the class teacher or myself, should there be any queries or problems. We look forward to a long period of successful partnership. Welcome Meeting Presentation Year 3 2017.